This year we set aside a whole day for our Christmas tree, something we have never done before. 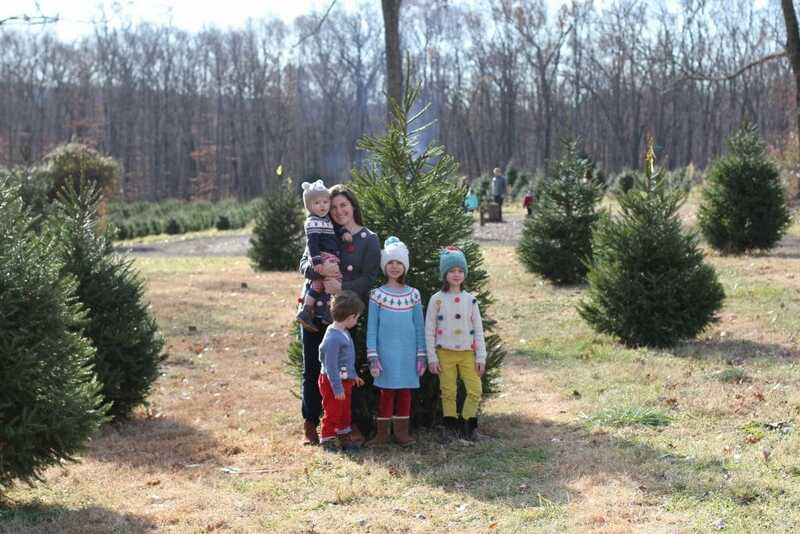 We ventured much further than usual to a Christmas tree farm. 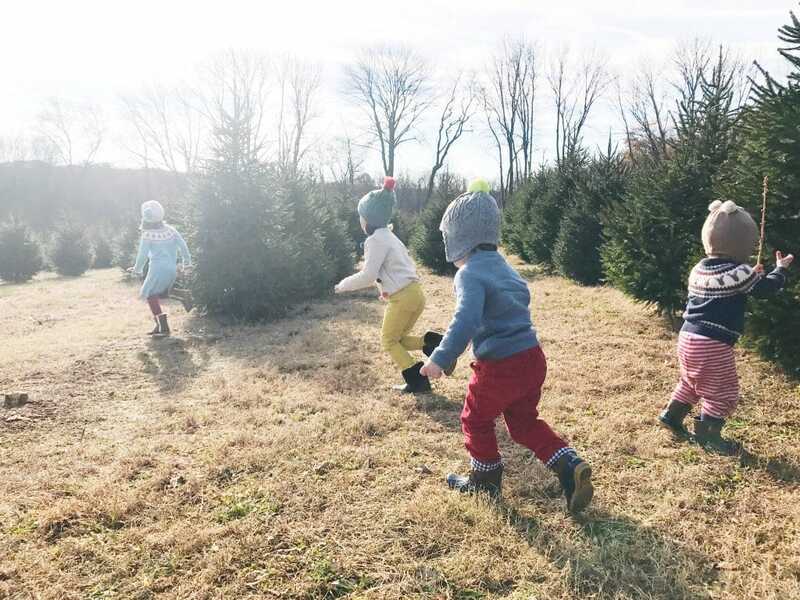 There was a lot of room to run around, marshmallows to roast and more than enough Christmas trees to get us in the spirit. 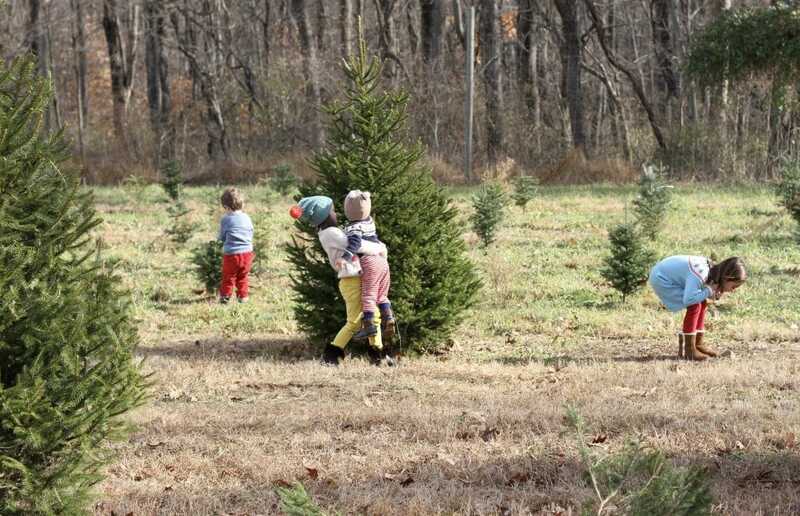 We were trying to wrangle everyone into one place to pick a tree and then keep them away from the saw. It wasn’t happening, so we just let them run and play while we enjoyed the day. 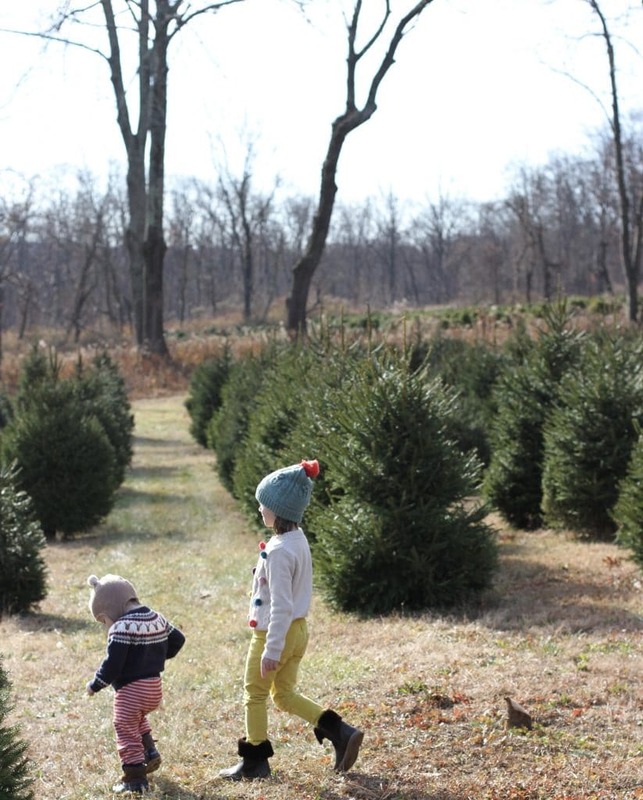 After a long fun day at the Christmas tree farm… we left with no tree. We ended up grabbing one across the street from our house as usual but hey, we tried to do the real thing! 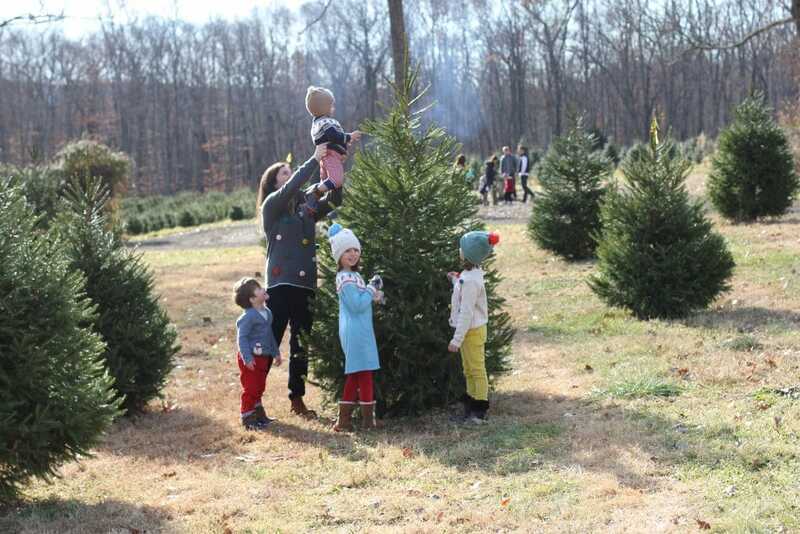 The kids had so much fun on the farm, love the tree we ended up with and couldn’t wait to decorate it. So that night after many (many, many, many) broken ornaments, we had a decorated tree! Last year I realized that without meaning to I had started a tradition making a holiday handprint craft with the kids each year. As I was unpacking them, I couldn’t believe how fast the girls teeny tiny hands and feet had grown so big. Better yet, I couldn’t believe how fast we went from 2 little hands to 8. 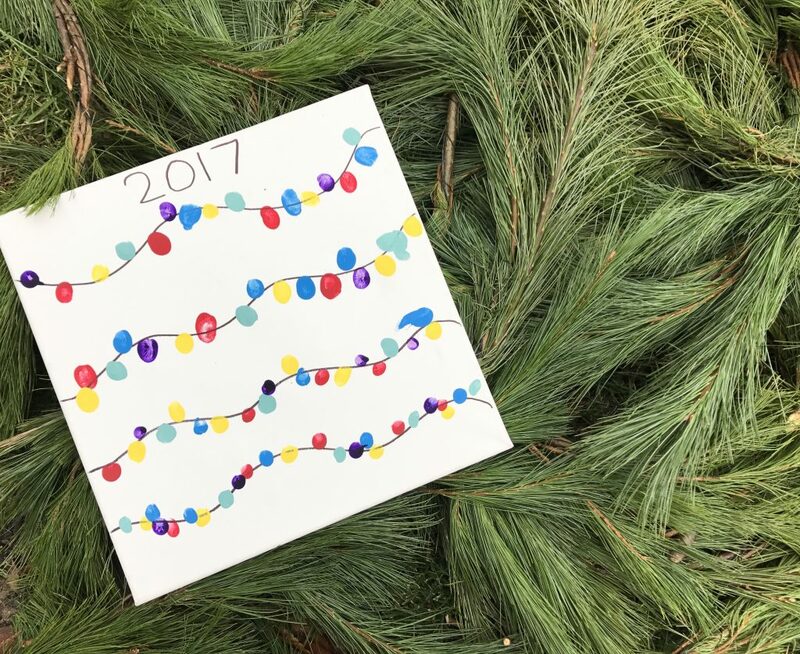 We made a special hand print craft for Miles first Christmas last year that is really special (click here to see). For a few others over the years, visit this post or this one. So this year I was trying to thing of something to do with all 4 kids. 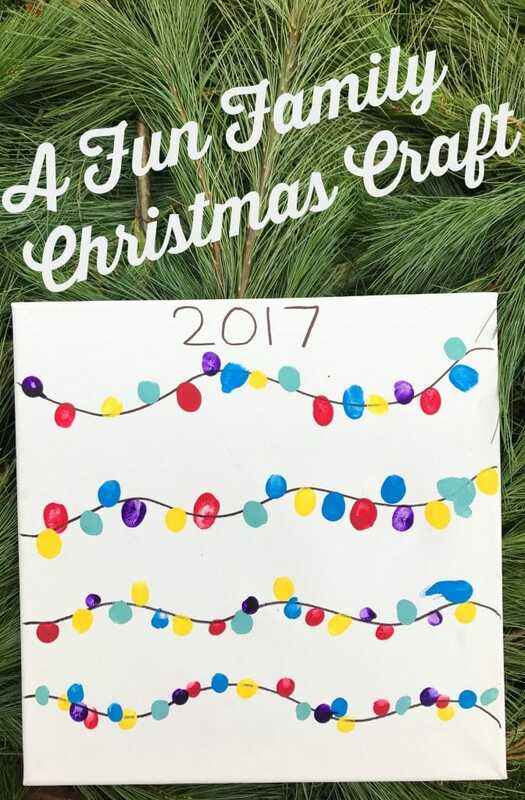 I came up with this fun sibling Christmas craft: strands of fingerprint lights. Each of the 4 kids made their own strand in order from oldest to youngest. I love how colorful it is and how all these little finger prints brighten up our holiday decor. This is certainly something I will cherish for years! Draw a strand across the canvas with a Sharpie. I made one strand for each child. Put drops of different color paint on a paper plate. Let the kids dip their finger in the paint and guide them (help hold their hand if they’re really little) and make different color finger prints across the black Sharpie strand. 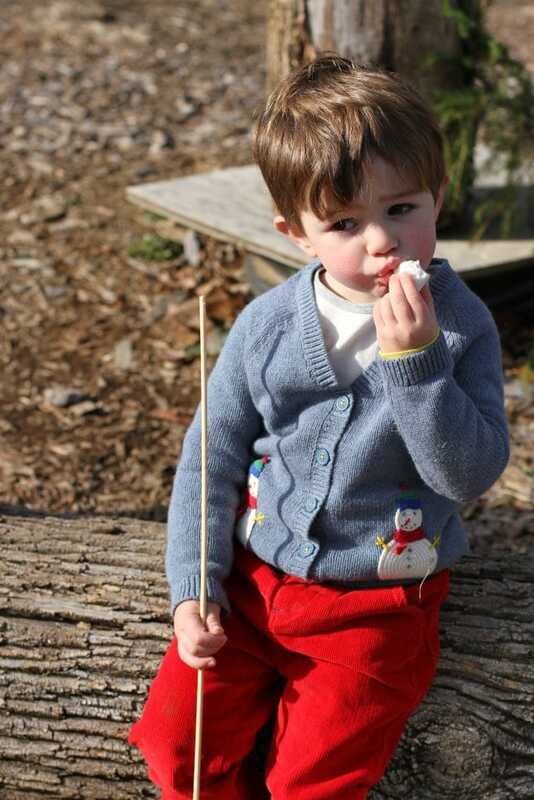 The festive outfits throughout the post are from our favorite, Boden. 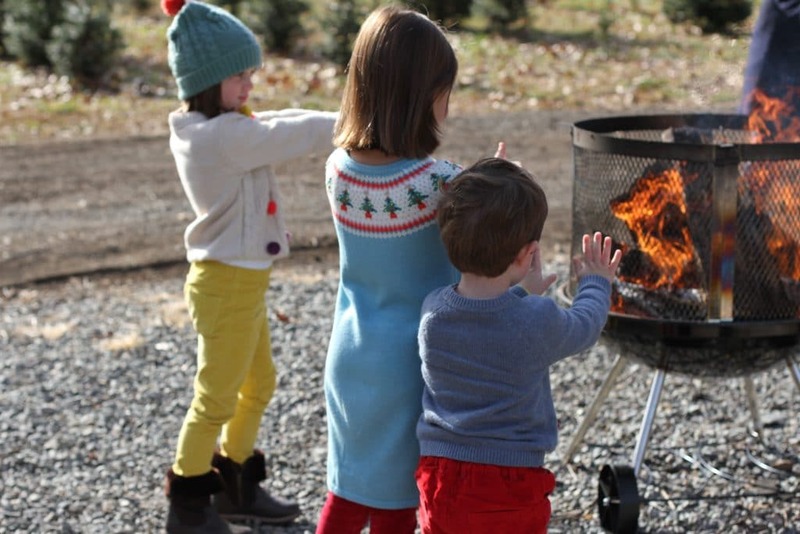 I’ve gotten the kids Christmas sweaters from Mini Boden for the past few years and it seems each year they holiday line gets better and better. This year I decided to join in on the festive outfits too. Alex has been begging me to get “matching clothes” with her. So when she saw that we both had “Christmas balls” on our sweaters she was thrilled. We think they look just like Christmas ornaments. I think if Maggie’s sweater dress came in my size, I may have gotten that too. 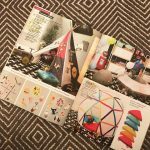 Boden has an amazing sale going on right now. Click here for a 30% off code for the whole site. There’s still plenty of time to shop their festive outfits for the whole family plus their cheery line of gifts. While you’re picking out Christmas sweaters for the kids, get extra festive and grab one for yourself this year – you deserve it! 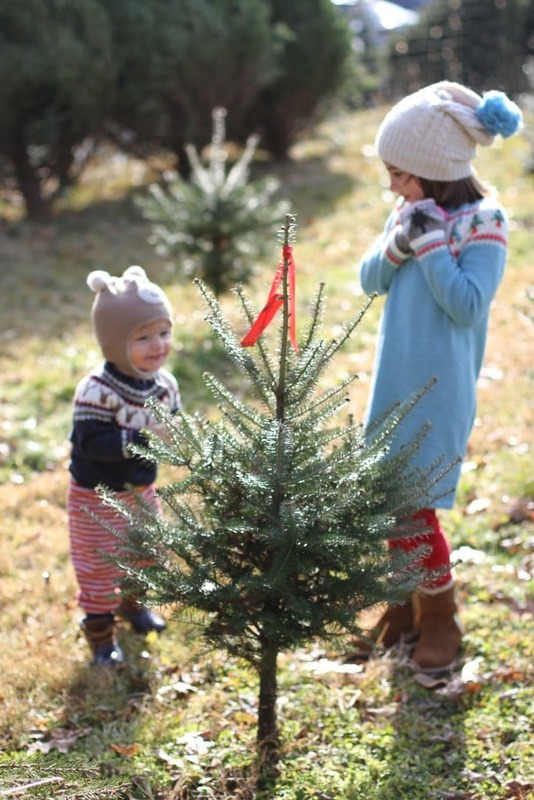 Two of my favorite blogs are sharing some of their favorite Boden picks from the holiday sale. 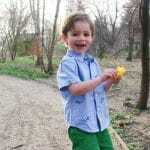 Check out these posts by Jordan & Co and Momfessionals. Moral of the story is the holidays with little kids are quite chaotic, never go quite as planned and certainly go by too fast. Enjoy it. Cut yourself some slack and kick back and just watch how much magic the kids find in the season just being together as a family. Free Printable First Day of School Signs: All Grades!